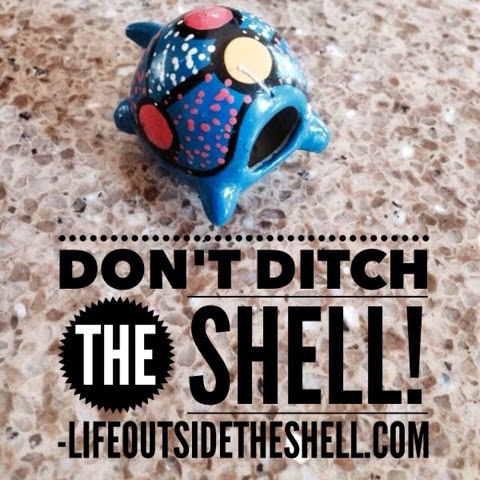 Life Outside the Shell: Don't ditch the shell! After all my talk of "live life outside of your shell" you must be wondering where a post called "don't ditch the shell!" came from. The turtle you see pictured above has been hanging on my refrigerator for years(long before I started this blog) and I JUST recently noticed the turtle is actually missing! All that is left is his shell! We are going to use my MIA turtle friend as an illustration for today's lesson...don't go to the extreme and ditch your shell! This is something that has been stirring on my heart for a few weeks now to clarify but when my friend, Karen, sent me this quote I knew it was God saying it was time to write this post. God doesn't ask us to leave our shell(as this quote suggests) but he does ask us to stop being paralyzed by fear and stick our head outside of our shell and move. Living life outside of your shell is being brave enough to stick your head out of that shell and go where God is leading. The extreme of that is ditching your shell all together. Turtles actually can't live without their shells. They are their protection and their place of rest. In fact, their shell has its spine and you don't have to be married to a chiropractor to know that your spine is your life line. We don't have a physical shell but we do have a spiritual one. And just like turtles we can't live without that shell as our protection. 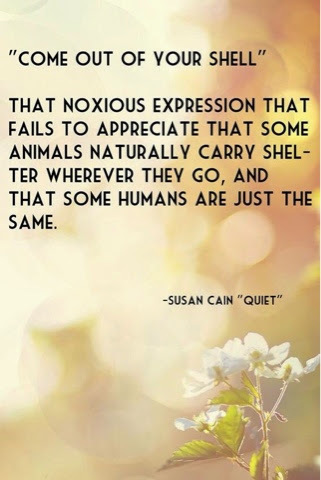 Our shells are our place of refuge in God. If we don't first run to Him in our quiet place where it's just us and Him, we will never be brave enough to stick our heads outside the shell. Our shell is where we retreat and get a word from God. He downloads dreams into us in our shell. He prepares us for what is to come in our shell. Please don't mistake living life outside of your shell for ditching your shell all together. We need our shell for rest and protection because just like a turtles shell, it is our life line. If we ditch our quiet time with God we will fail miserably when we stick our head outside of our shell in our own strength.